EDUCATE YOURSELF – THEN HIT THE ROAD! 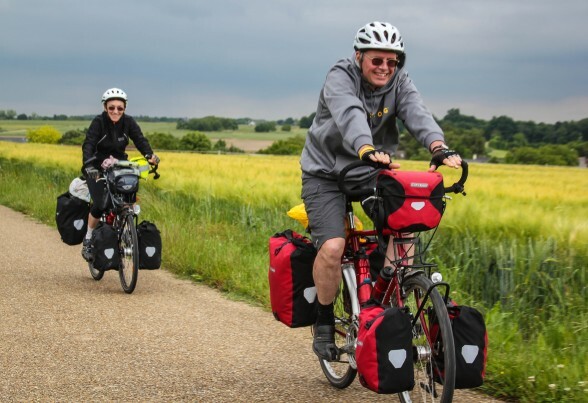 Bicycle Touring Pro has helped thousands of people all around the world learn to conduct their own bicycle touring adventures. Now it’s your turn! 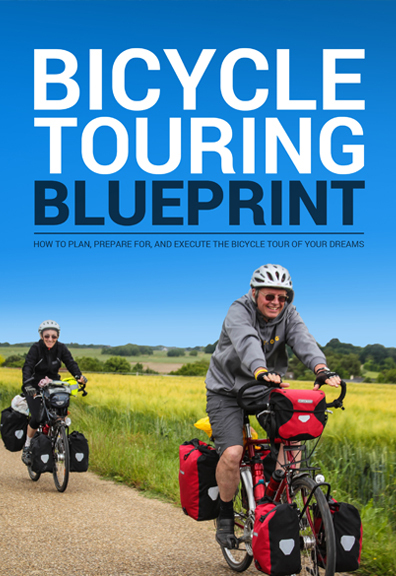 Teaches you how to plan, prepare for, and execute a bike tour of any length, anywhere in the world. 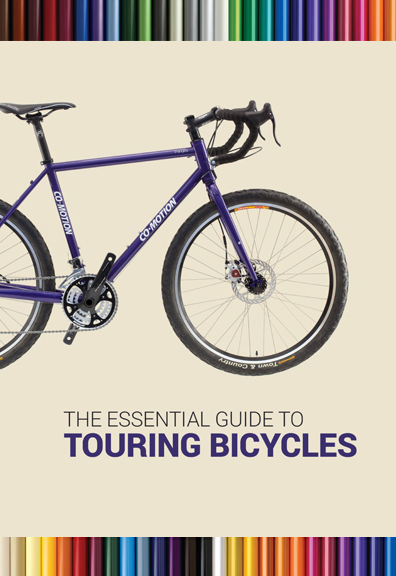 Educates you on the types of bikes made for bicycle touring and helps you find the best touring bike for you. 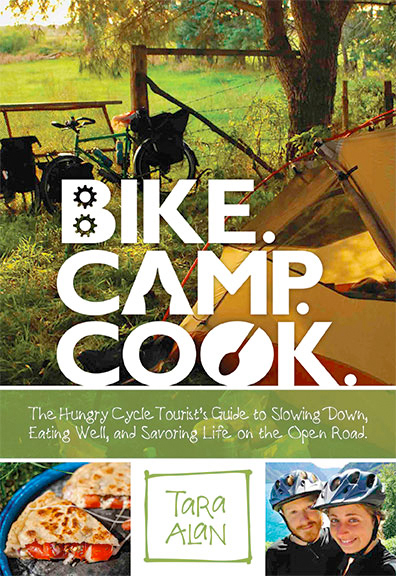 Uncovers the secrets to cooking delicious bike-friendly meals on a one-burner camp stove. 30+ recipes included! Bicycle Touring Pro is the world’s most popular how-to bicycle touring website and information source. You’ve come to the right place if you want to learn how to conduct your own incredible cycling adventures. Click here to get started. Traditional road-based bike touring requires you to travel alone (without a guide) and carry all the clothing, food, and gear you need to survive on your bicycle for days, weeks, or months on end. A means of bicycle travel in which you cycle mostly off-road, on dirt roads or trails, and carry only a minimal amount of food, gear, and clothing in small packs attached to the frame of your bicycle. Where you pay to be escorted along a path by an experienced bicycle touring guide or company. Forget the planning! Simply show up at the start of the tour and enjoy your cycling holiday. 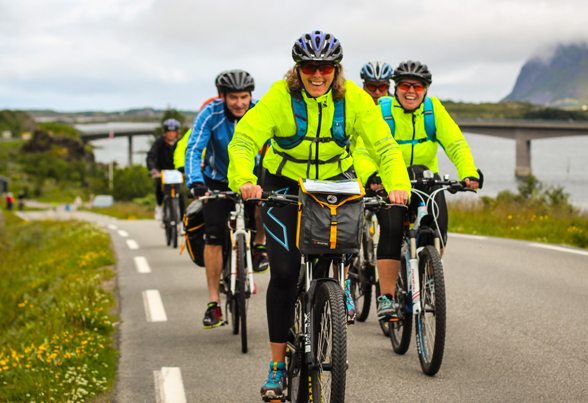 Let Me Help You Plan Your Dream Bike Tour! 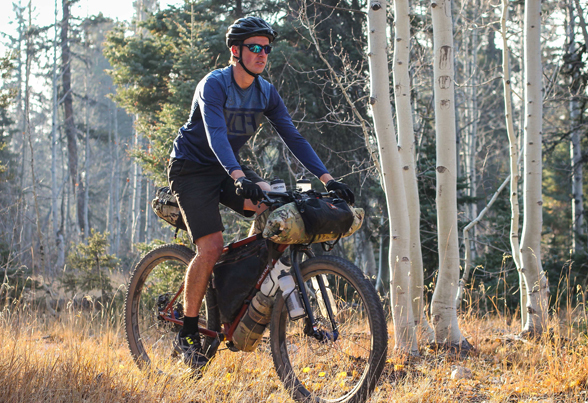 Hi, I’m Darren Alff – the Bicycle Touring Pro. I’m here to help you plan, prepare for, and execute your first bike tour and remove all the guesswork, wasted time, and frustration that plagues so many first-time bicycle travelers!